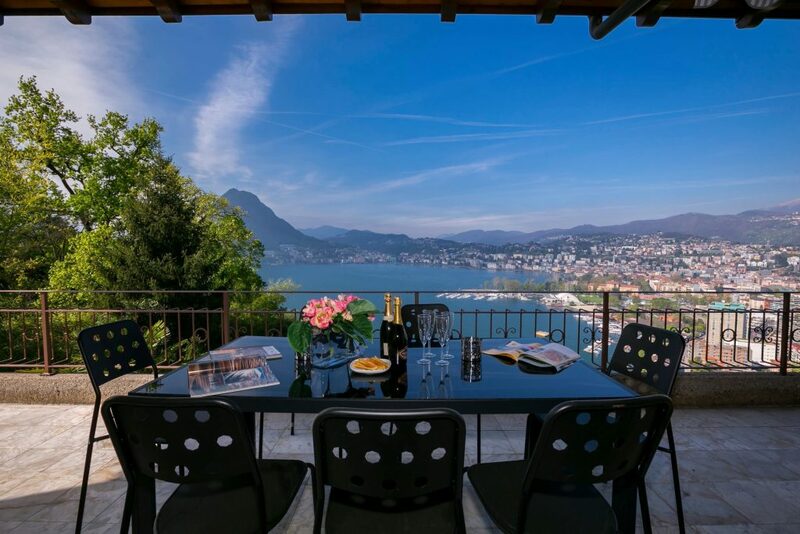 Villa Serbelloni is situated on the wooded promontory of Bellagio which divides the lake in 2 branches. 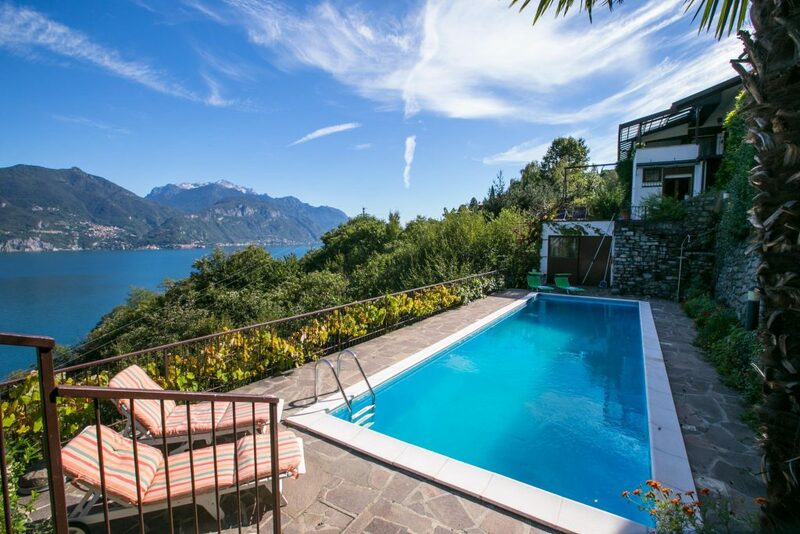 The villa is surrounded by approximately 50 acres of park and garden; the main house has a breathtaking view of the lake and the mountains. The villa was built in 1605 for the owners of the promontory, the Sfondratis, and in 1788 it was bought by the Serbellonis, a Milanese family who developed the property and the garden much as it is today. The estate was given to the Rockfeller foundation in the late 1950s and the villa is now used as a conference centre and as an international study centre for scholars and artists. The lower pert of the garden is an informal parkland planted with olive trees and Italian cypresses. This is traversed by a long winding drive leading up to the main house. The upper garden behind the villa is mainly woodland and contains a belvedere with a fine view of the Lecco branch. The more formal part of the garden , nera the house, dates from the 18th century and consists of three curved terraces on which there are many fine topiary specimens , as well as flowering plants and shrubs. A separate small garden has a fountain dedicated to Cecilio Plinio. ACCESS: 600 m from the boat and hydrofoil landinstage at bellagio. The Bellagio tourist office is situated in Piazza della Chiesa which you can reach by taking the stairway opposite the landing stage.